(?) Kidd married Virginia Noe, daughter of Rufus Patton Noe and Nancy Katherine Miller. Married Name before 1913 As of before 1913,her married name was Parker. Married Name after 1913 As of after 1913,her married name was Tinsley. Rebecca Mays was born in 1862. She married James S. Parker, son of Henry Parker and Mary Browning, before 1913. Rebecca Mays married William H. Tinsley after 1913. Rebecca Mays died in 1956. William H. Tinsley was born in 1851. He married Rebecca Mays after 1913. William H. Tinsley died in 1933. Elizabeth Chambers married Henry Combs Parker. Elizabeth Chambers was born circa 1791 at North Carolina. She died on 17 November 1856. Henry Combs Parker married Elizabeth Chambers. Henry Combs Parker was born circa 1771 at North Carolina. He died on 3 August 1829 at Bell, Kentucky. Married Name 27 August 1837 As of 27 August 1837,her married name was Browning. Winnie Parker was born circa 1818 at North Carolina. She was the daughter of Henry Combs Parker and Elizabeth Chambers. Winnie Parker married William C. Browning on 27 August 1837 at Harlan, Kentucky. Winnie Parker died circa 1882 at Bell, Kentucky. Name Variation William C. Browning was also known as William M. Browning. William C. Browning was born circa 1801 at Virginia. He married unknown (?) circa 1823. William C. Browning married Winnie Parker, daughter of Henry Combs Parker and Elizabeth Chambers, on 27 August 1837 at Harlan, Kentucky. William C. Browning died circa 1882 at Bell, Kentucky. Oma Parker was born circa 1823 at North Carolina. As of 1880, Oma Parker was never married. Reason Parker was born circa 1810 at North Carolina. He was the son of Henry Combs Parker and Elizabeth Chambers. As of 1880, Reason Parker was never married. Married Name circa 1823 As of circa 1823,her married name was Browning. Unknown (?) married William C. Browning circa 1823. Unknown (?) died before 1837. Donald H. Seid married Marjorie Louise Seils, daughter of Otto Paul Seils and Louise Elizabeth Koepp, before 1955. Vera Irene Singletary married Henry Edward Seils, son of Gustav Frederick Seils and Wilhelmina Henrietta Lawrenz. Vera Irene Singletary was born on 29 April 1904 at Sauk, Wisconsin. She died on 6 February 1969 at Rock, Wisconsin, at age 64. Name Variation Benjamin Edward Kamrath was also known as Kamrah. Benjamin Edward Kamrath married Mary Helen Seils, daughter of Gustav Frederick Seils and Rosalie Blankenburg. Benjamin Edward Kamrath was born on 11 February 1882 at Baraboo, Sauk, Wisconsin. He died in 1946 at Dane, Wisconsin. (?) Winkler married Louise Joanne Seils, daughter of Gustav Frederick Seils and Rosalie Blankenburg. Clinton W. Platt was born in 1917. He was the son of Gustav Jacob Platt and Lena M. Seils. Clinton W. Platt died in 1968. 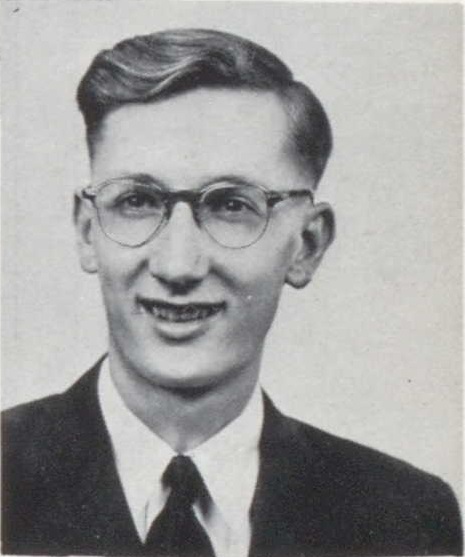 James A. Platt was born on 29 September 1926 at Sauk, Wisconsin. James A. Platt died on 14 November 2011 at Benton, Arkansas, at age 85. (?) Seils was born on 8 August 1891. He was the son of Gustav Frederick Seils and Rosalie Blankenburg. (?) Seils died before 1900. Otto Rathmann was born circa 1883 at Wisconsin. He married Amelia Schroeder, daughter of William K. Schroeder and Bertha Krause, on 16 April 1913 at St John Lutheran Church, Reedsburg, Sauk, Wisconsin. Herman Roecker was the son of William Charles Roecker and Mary Katharena Meyer. Herman Roecker died before December 1991. Robert Roecker was born circa 1935. He was the son of Emil G. Roecker and Emma Wanda Streich. Robert Roecker graduated in 1954 at Reedsburg High School, Reedsburg, Sauk, Wisconsin. Raymond H. Traxler was born on 10 October 1923. Henry Tesker married Emma Grotelueschen, daughter of Johann Hermann Grotelueschen and Anna Catharine Meyer. Henry Tesker was born in November 1865 at Wisconsin. Married Name before 1910 As of before 1910,her married name was Hesseling. Elizabeth G. Holl married Bernard T. Hesseling, son of Bernhard Hesseling and Elisabeth Pluemer, before 1910. John Mallon married Elizabeth Hesseling, daughter of Bernhard Hesseling and Elisabeth Pluemer, before 1910. Wilbur Simmons married Edna Rupp, daughter of Frank A. Rupp Jr. and Nettie Louisa Zimmer. Paul Peter Rupp was born on 18 February 1919 at Cherokee, Iowa. He was the son of Peter John Rupp and Bessie Irene Ryan. Paul Peter Rupp died on 22 September 1995 at age 76. Married Name before 1943 As of before 1943,her married name was Ruebsam. Married Name before 1970 As of before 1970,her married name was Cunningham. Laudine Katherine Rupp was born on 20 December 1925 at Cherokee, Iowa. Laudine Katherine Rupp married (?) Ruebsam before 1943. Laudine Katherine Rupp married (?) Cunningham before 1970. Laudine Katherine Rupp died on 23 May 1995 at age 69. (?) Cunningham married Laudine Katherine Rupp, daughter of Peter John Rupp and Bessie Irene Ryan, before 1970. (?) Ruebsam married Laudine Katherine Rupp, daughter of Peter John Rupp and Bessie Irene Ryan, before 1943.